These beauties came from my kitchen a few weeks ago. I've been meaning to post the recipe but have been pretty busy lately. I've baked several batches of different cookies plus made some Christmas candy, but it's all been pretty standard and not blog-worthy. 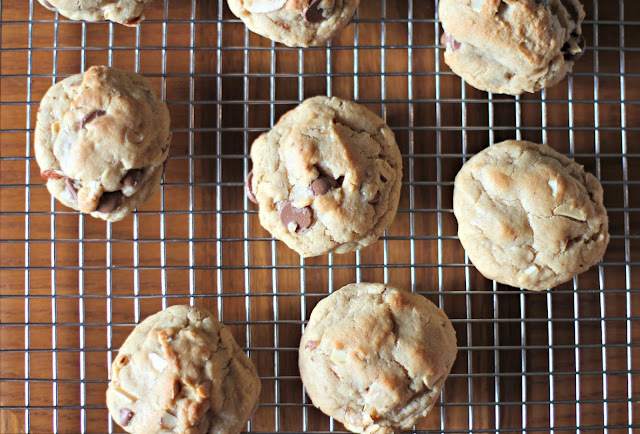 These Milk Chocolate Chip Toasted Almond Cookies are definitely blog-worthy, though! 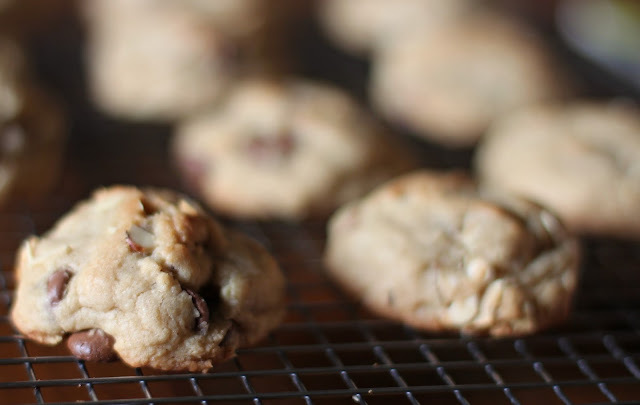 They're made with browned butter, toasted almonds, and Ghiradelli milk chocolate chips. Mmm! They're so good. Perfect for a last minute Christmas cookie! Heat oven to 350 degrees. Place almonds on a cookie sheet and bake 8-10 minutes or until light golden brown and fragrant. Melt half of the butter in a small saucepan over medium heat; cook and whisk until butter foams and starts to turn golden brown. Remove pan from heat and pour butter in a large mixing bowl and allow to cool 10 minutes. In a medium bowl, sift together flour, baking powder, baking soda and salt. Add softened butter, brown sugar and vanilla to bowl with browned butter. Mix together until creamy and well combined. Mix in egg until well incorporated. Stir in flour mixture and milk until just combined. Stir in toasted almonds and chocolate chips just combined. Chill dough in refrigerator for 1 hour or until cold. Scoop out heaping tablespoons full of dough, roll into balls, and place on cookie sheet. Bake cookies 10-12 minutes or until light golden brown. Cool 2 minutes before transferring to wire racks. 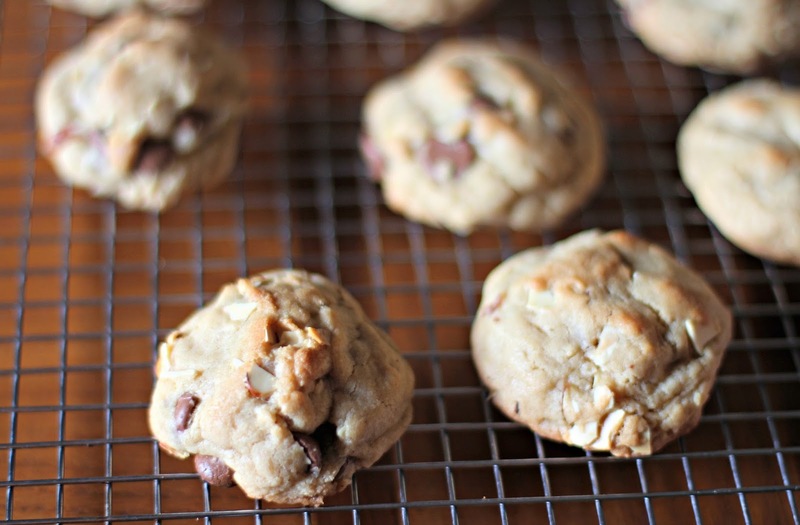 2 comments on "Milk Chocolate Chip Toasted Almond Cookies"
I can't imagine anything you make not being blog worthy. I would love these cookies though! Glad you posted them.